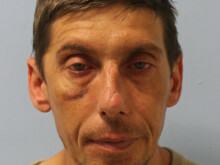 Gary Gascoigne, 41 (14.04.7), of no fixed abode, pleaded guilty to criminal damage, harassment and arson with intent reckless as to whether life was endangered at a hearing in November 2018 and was sentenced on 31 January at Inner London Crown Court to six years and six months, with a further four years to be served on licence upon release. He was further ordered to pay costs issued with a restraining order preventing him from contacting or going within 50 metres of the victims. The court heard that Gascoigne became fixated with the victims, who were the neighbours of his ex-partner. The exact motive for his campaign is not known for certain but it is believed Gascoigne became mistakenly convinced that the victims, a 46-year-old woman and her 47-year-old husband, had called police following a number of arguments between him and his ex-partner. They had not and had been completely uninvolved. Despite this, Gascoigne began a campaign of abuse in May and June 2018 which he threw paint and spat at their front door, as well as shouting sustained abuse at them from the street and through the letterbox. On 27 June 2018 at 18:30hrs the victims were on the rooftop terrace at their address in Soames Street, Southwark, having dinner with a family member who was visiting from the couple on his first visit to the UK and London. The family member went into the property and began shouting ‘fire, fire’. The victims followed and could see a fire at the front door, which was downstairs. The three managed to escape after climbing down into a neighbour’s garden. The London Fire Brigade attended and extinguished the fire. It was discovered that a bottle of lighter fluid had been wedged in the letterbox and set alight, causing damage to the front door, carpet and walls. Gascoigne was identified after a neighbour came out of her address and pointed him out as being responsible. 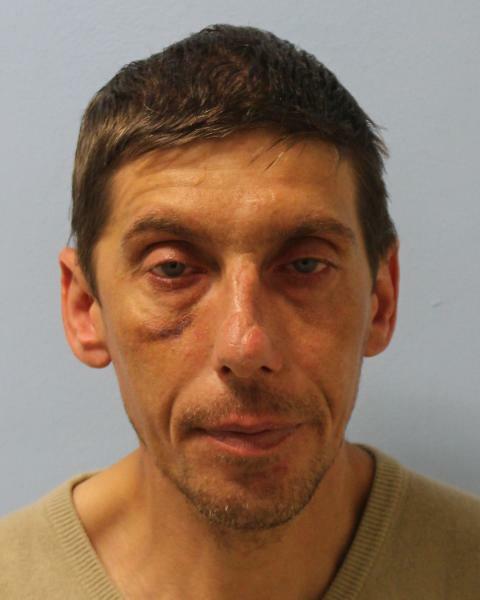 The claim was supported by CCTV, which showed Gascoigne going up to the address with his t-shirt pulled up over his head, holding a small bottle in his hand, before fleeing and hiding down the street. Gascoigne’s DNA was also present on the lighter fluid bottle. He was arrested on 29 June 2018 and charged on 2 July. He was remanded in custody. Investigating officer Detective Colin Scott, of the South Central Command Unit, said: “This could have been an entirely different investigation had the victims not been lucky enough to discover the fire quickly and make good their escape.